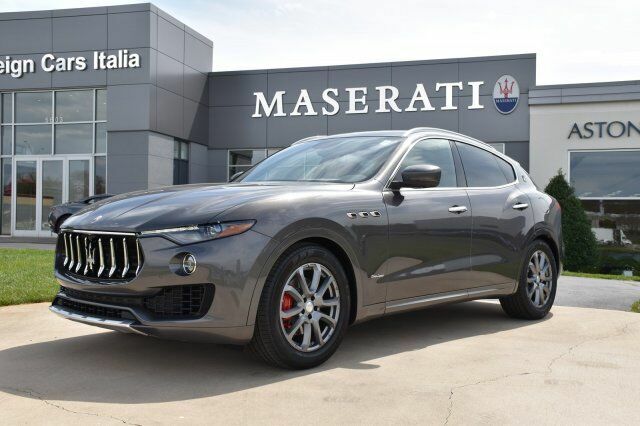 This Maserati Levante has a powerful Twin Turbo Premium Unleaded V-6 3.0 L/182 engine powering this Automatic transmission. GranLusso Package, Wheels: 19" Poseidone Rims, Surrond View Camera System, Kick Sensor, Metallescent Paint, Red Brake Calipers, Stitched trident on Headrest, Valet Function, Trip Computer, Transmission: ZF 8-Speed Automatic -inc: 7 dedicated shift modes and manual mode. Transmission w/Driver Selectable Mode and Sequential Shift Control, Tires: 19" All Season, Tire Specific Low Tire Pressure Warning, Systems Monitor, Speed Sensitive Rain Detecting Variable Intermittent Wipers, Spare Tire Mobility Kit, Siriusxm Traffic Real-Time Traffic Display, Side Impact Beams, Seats w/Leather Back Material, Roof Rack Rails Only, Remote Releases -Inc: Power Cargo Access and Power Fuel, Remote Keyless Entry w/Illuminated Entry and Panic Button, Refrigerated/Cooled Box Located In The Glovebox, Driver / Passenger And Rear Door Bins, Redundant Digital Speedometer, Rear Cupholder. A short visit to Foreign Cars Italia located at 5603 Roanne Way, Greensboro, NC 27409 can get you an impressive Levante today!